A growth experiment compared the growth of white mustard seeds in a tap-watered control group with an identical setup using tap-water put through the implosion device. The Imploder watered group demonstrated an increase in germination rate from 63% to 83% (a 20% increase), and yielded a 328% increase in biomass over a period of 31 days as compared to the control group. 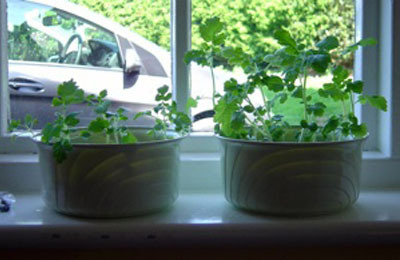 An independent experimenter investigated the accelerated plant growth effects of Imploder water whereby 30 white mustard seeds were planted in each of two identical growing mediums. One was fed tap water, and the other with the same tap water that had been cycled through the Imploder device. Several positive effects were observed. After 4 days the tap water control group had 11 un-germinated seeds and a growth score (consisting of number of seedlings times their respective lengths) of 8. Whereas the Imploder watered group has 6 un-germinated seeds and a growth score of 20. See data below. It can be concluded that the Imploder increases both germination speed and ultimate germination percentages. After 31 days post germination, the Imploder watered group looked substantially larger, more advanced in their growth and healthier. (See photo below taken after 31 days.) Then the plants in each group were uprooted, the soil carefully removed and the plants weighed. Photo 1 ' Growth after 9 days post germination. Imploder water on the right, tapwater control on the left. Photo 2 ' Growth after 23 days post germination. Photo 3 ' Growth after 31 days post germination. Note that there was a 328% increase in biomass in the Imploder watered group with respect to the control tap watered group. Our understanding of why this happened has encouraged us to proceed with developing this leading edge water treatment technology to enhance the world's ability to grow food and other useful plants in a healthier, faster, and more sustainable way.